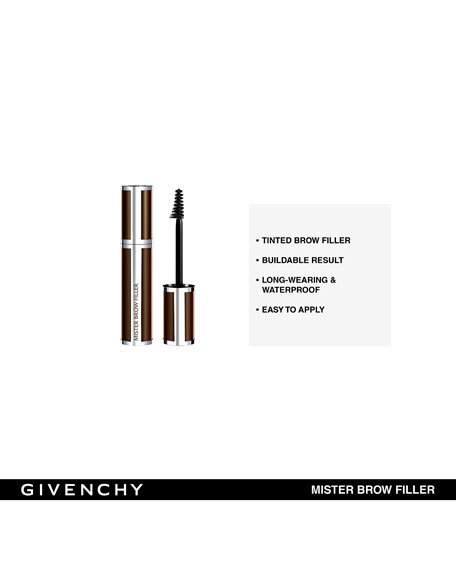 Mister Brow Filler  to naturally and evenly structure your brows. 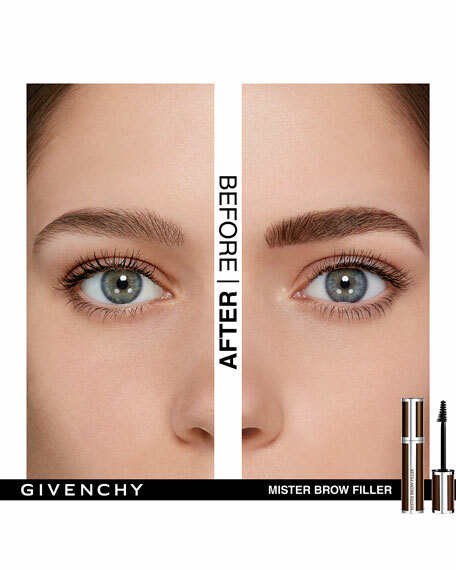 Mister Brow Filler fills in any sparse areas and flawlessly shapes the brows. 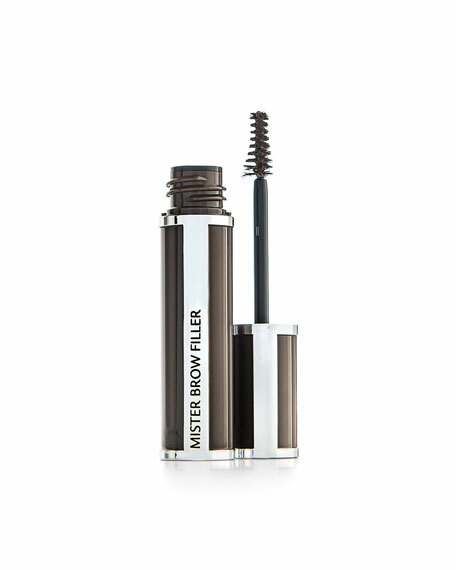 Its fluid, quick-drying formula instantly dries down to a powder finish on application. The curved brush follows the eyebrow's natural shape, for an intuitive application even for beginners! For perfectly filled brows! An even, natural yet sophisticated result. 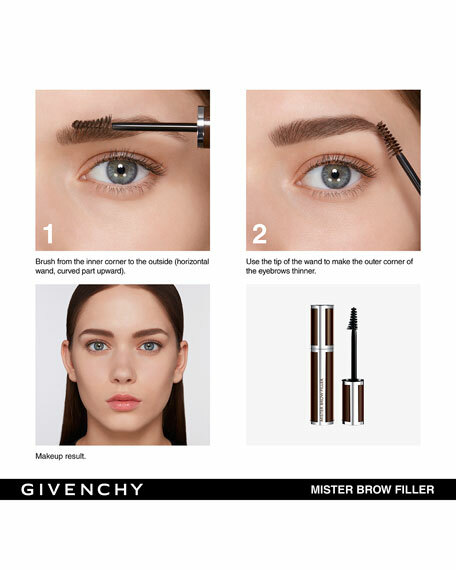 Brush your brow from the inside to the outside (with the curved part upward). Finish by brushing the end of your brow with the fine end of the brush. For in-store inquiries, use sku #1887363.